Described as the “biggest, baddest, most bulbous speeder bike”, by builder David Roberts, the Turbinia certainly lives up to its name. I’ve admired David’s work for a long time now, especially the way he mixes his humorous narratives with the knowledge of an engineering graduate. 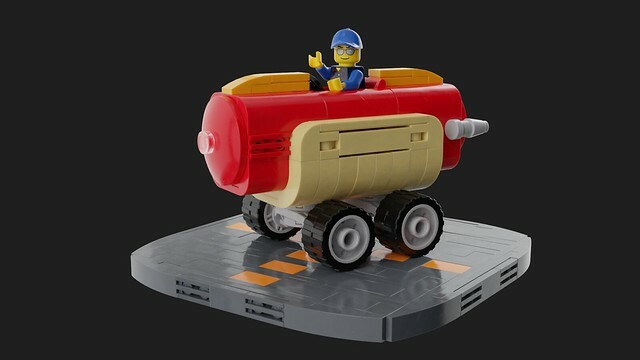 In this case the turbine element creates both the quirky nautilus-like shape of the vehicle, as well as hinting at the real-life mechanics of a centrifugal processor. 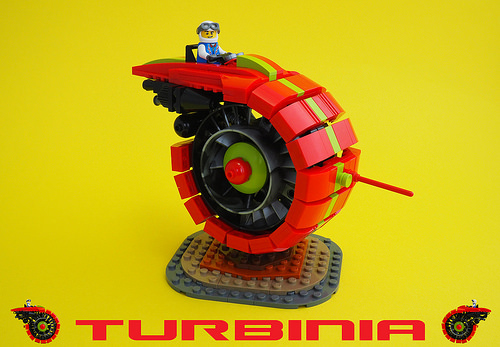 Whichever way you look at it, this colourful model is a whole heap of gyroscopic fun.